Fracture sizes are printed at a 4:3 or 1:1 aspect ratio. 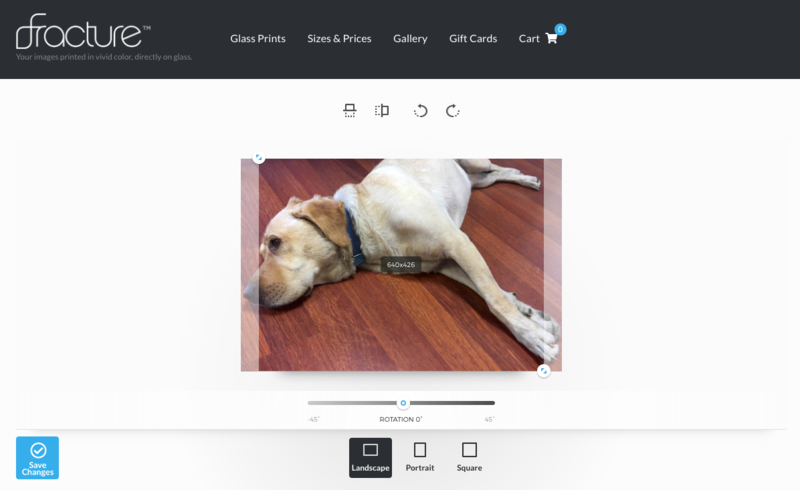 This will make other uploaded aspect ratios appear differently in the preview screen—our site will automatically crop any image with a different aspect ratio to match the shape of our glass. From the Fracture homepage, click the "Get Started" button at the top right. 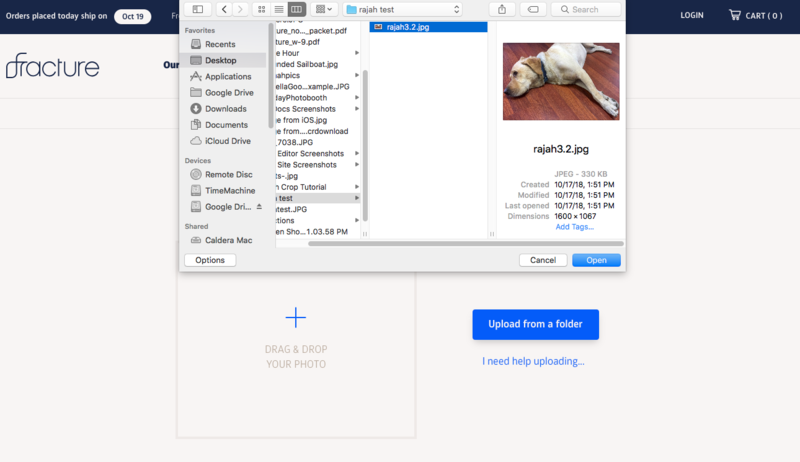 Then drag and drop your photo, or click the "Upload from a folder" button where you can select the image you're looking to have Fractured. 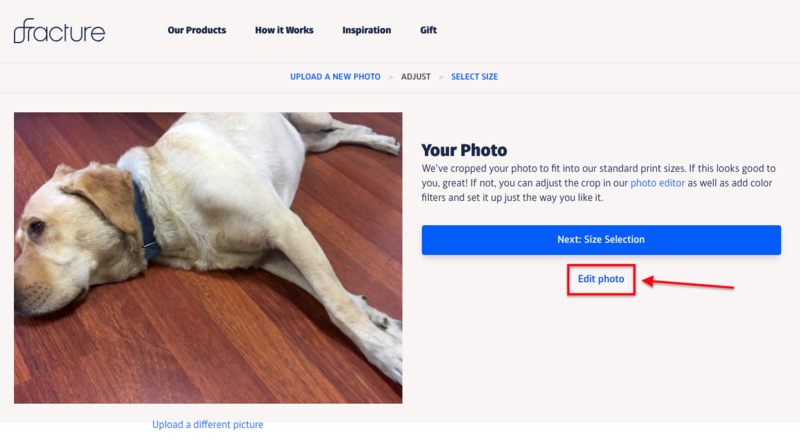 For more help on how to upload and order, click here. Notice that the left and right sides of the original image have been cropped equally from each side to fit within the 4:3 ratio preview, or the shape of our glass. But, oh no—this results in Rajah’s nose and some of his paws not fitting into the preview! We definitely don’t want that. 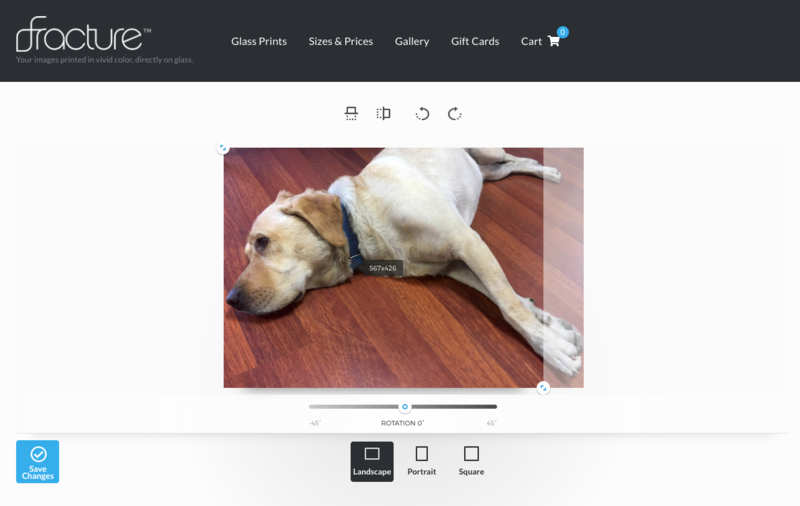 To adjust which parts of the photo will print on the Fracture, click on " Edit photo." 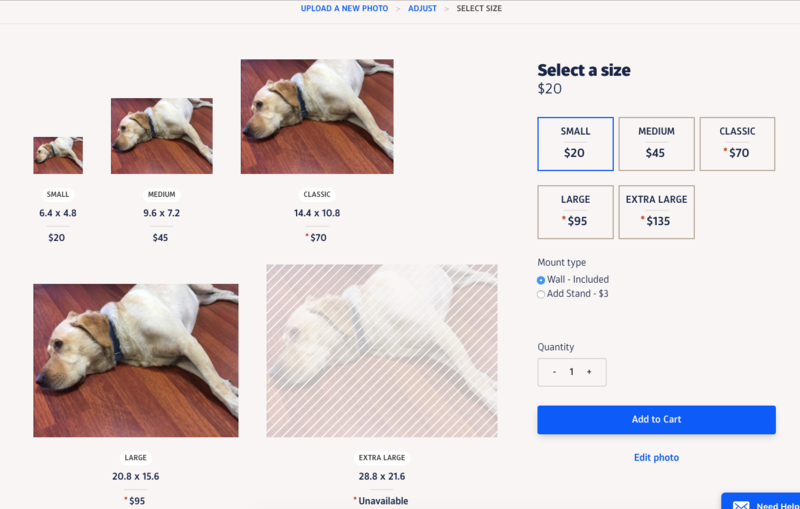 Then click the Save Changes button to apply the cropping, and Done Editing to choose your size and add it to your Cart.